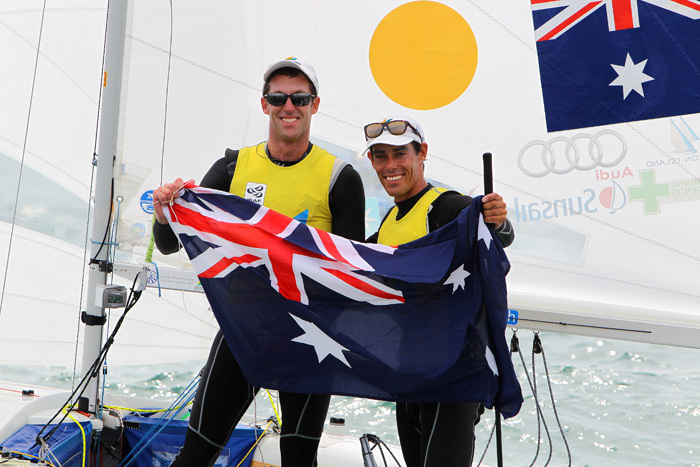 The road to London is paved with gold for Australian 470 sailors Mathew Belcher and Malcolm Page who sailed a conservative race to cross the line in fourth place and take out the World Championship in Perth this afternoon. For Malcolm Page it's his fifth world title and achieving this result was something both he and Mat Belcher had been striving for all year. “I am very happy at the moment. I don’t think you would be able to wipe the smile off my face,” a beaming Page said. 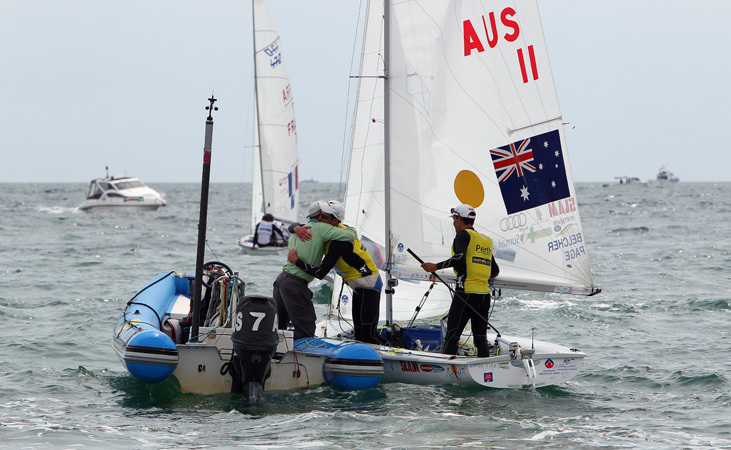 "It is a bitter-sweet feeling winning on overall points but not the Medal Race. Medal Race winners and silver medallists, Luke Patience and Stuart Bithell (GBR), lead the field for the entire race. Back on shore, Stuart Bithell said winning the silver medal had not yet sunk in. For Luke Patience it has been a four-month marathon to get to this point. “The ISAF World Championships only come around every four years so they are arguably the biggest event apart from the Olympics, and a lot of teams push towards peaking at this event,” he said. 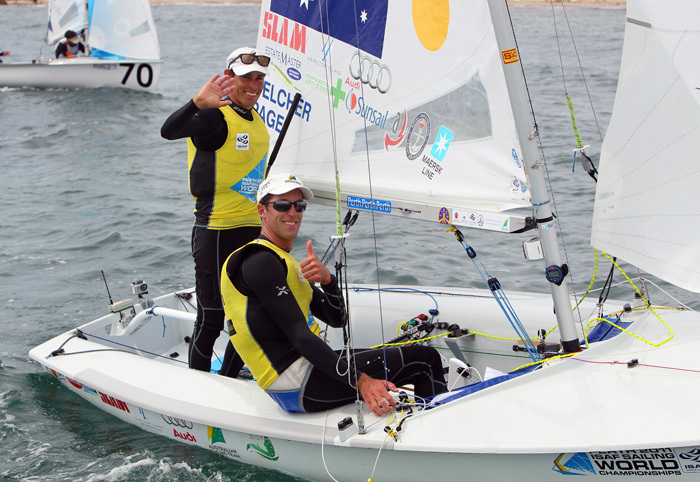 The bronze medal went to Sime Fantela and Igor Marenic (CRO).